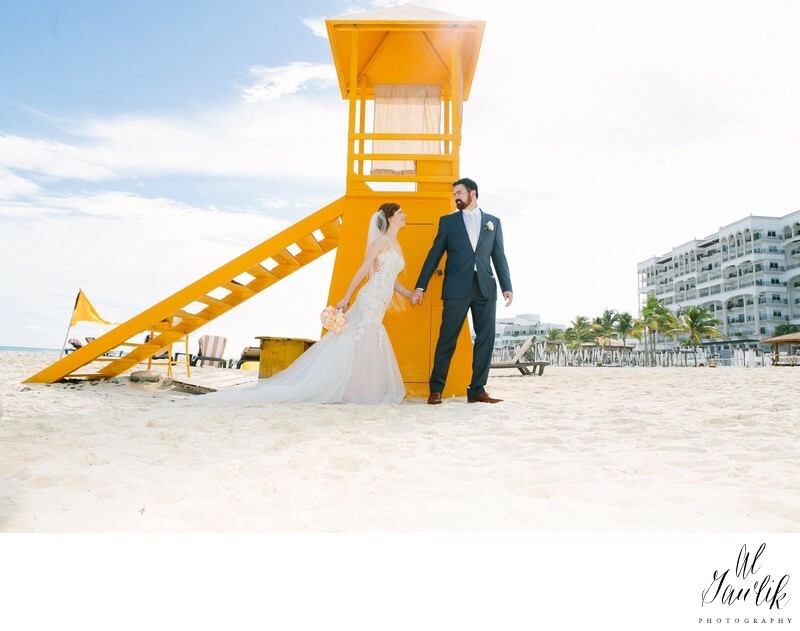 Destination Wedding Photographer : Al Gawlik Photography sees and seizes the light and the colors like no one else to tell the story of this beach wedding in Cancun, Mexico. He only has eyes for her and she only for him as they start their married journey together under the lifeguard tower on the beach. Our photographer Amy is there to capture that moment on the sands in Mexico; time to take off your shoes and run for it.